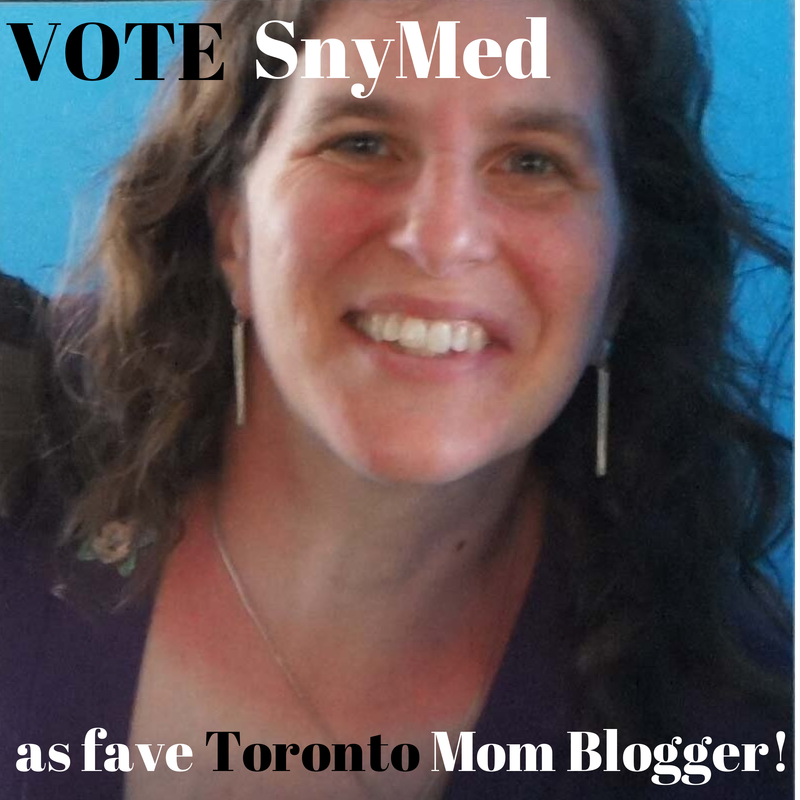 VOTE for SnyMed.com as Favourite Toronto Mom Blogger! A little bit about me: I'm the mom to 5 great kids ages 4- to 9-years old, devoted wife, the owner of this blog SnyMed.com, a The Huffington Post online newspaper writer, and freelance writer. I first started this blog 2.5 years ago to do what I like the most: write, take photographs, spend time with my family, enjoy entertainment and events in Toronto and surrounding areas, travel, and run fun contests and giveaways for my loyal readers. Winning the title of Favourite Toronto Mom Blogger would mean a lot to me, as I have worked very hard on this blog--oftentimes without pay. It has always been my goal that my readers could visit SnyMed.com and smile, have fun, and forget the busy pace of the outside world for a little while. I also work hard to create a family-friendly place with no swear words, inappropriate images, political incorrectness--and I'm not tied into an ad network that displays advertisements I have no say over. So far I believe that I have succeeded in my goals. Please Vote for SnyMed.com today in order to show your support for SnyMed.com--and me--Jenna Em. Every vote is greatly appreciated! I also welcome you to join me on Facebook, Twitter, Google +, Pinterest, Instagram and YouTube. How awesone and best of luck. You can count my vote! Dee, thank you - I really appreciate it! How awesome for you! I would definitely vote for you. Good luck! It seems as though you have the invest the time, talent and energy deserving of such award. Maddi'sMommy, thanks for your kind words! The Mom Jen, sweet of you to say! Thank you for your vote! Jaymi, thank you for your vote! I really appreciate it! Congrats on the nomination! Well deserved and you know you have my vote. Congrats! Maya, thanks so much, sweetie! Congrats and Good Luck! I voted! Angie, thanks for the congratulations & your vote. Congrats Jenna! I was nominated too! I wish you the best of luck! You have worked very hard on your blog and deserve all the credit you are relieving! Thanks for the kind wishes, Jenn! I know you work hard too and congratulations on your nomination! Aeryn Lynne, thank you on both counts!